ST Microelectonics promote their Cortex-M series at ARM Techcon 2011 and especially the new STM32F4 series the most powerful cortex M4 MCUs. 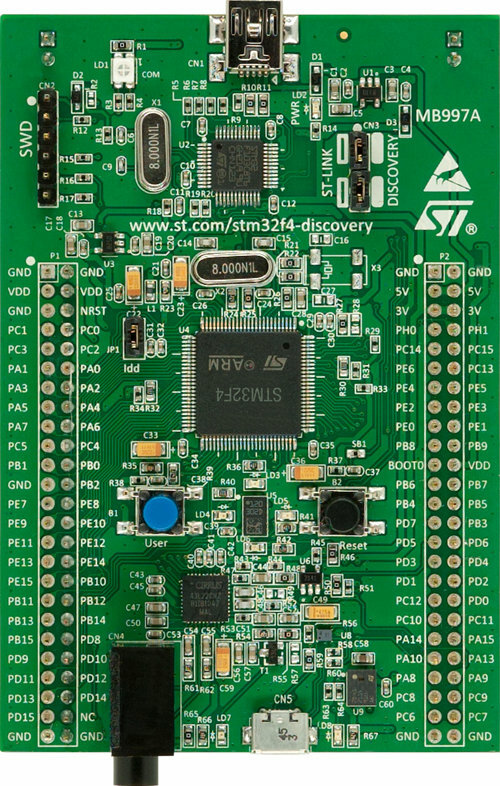 They also showcase a low cost development board called STM32F4-Discovery that they give away at the exhibition and that can be bought online for 14.90USD from distributors. The evaluation board is based on the STM32F407VGT6 and includes an ST-LINK/V2 embedded debug tool, two ST MEMS, digital accelerometer and digital microphone, one audio DAC with integrated class D speaker driver, LEDs and push buttons and an USB OTG micro-AB connector. 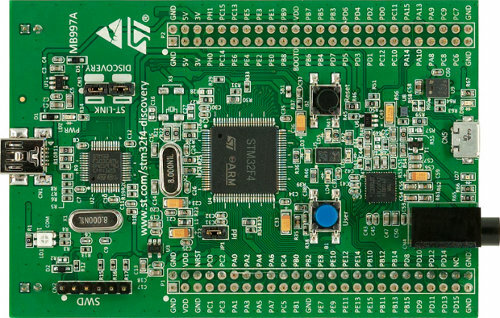 A large number of free ready-to-run application firmware examples are available in the STM32F4-Discovery board firmware package to support quick evaluation and development. The STM32F40x Standard Peripheral & DSP Library can also be downloaded from the Embedded Software Store. STM also made available the product brief, application notes, datasheets, technical notes and user manuals on STM32F4-Discovery page. You can watch Stuart McLaren (Micro-controller Group at STM) interview at ARM Techcon 2011 below to know more about STM32F4 series, see the STM32F4-Discovery kit and learn how STM does in the MCU market. I’d like to buy the board, since I’m in Europe. Do you know what else except the board is needed to take part in the webinars? Any chance I’ll be able to do it on Linux…? But according to the agenda, you’ll probably need to install MicroXplorer http://www.st.com/web/en/catalog/tools/FM147/CL1794/SC961/SS1533/PF251717, and it only works in Windows.